Following Jeff Sessions’ resignation as Attorney General, President Trump named Matthew Whitaker to replace him—a move that has already inspired multiple lawsuits that contend the designation was illegal. In a recent immigration case, an amicus brief explains why designating Sessions’ former chief of staff is unlawful. The amicus brief was filed in Matter of Negusie, a case former Attorney General Jeff Sessions referred to himself. The case asks whether asylum seekers found to be persecutors can still qualify for asylum if they acted under coercion or duress. Sessions resigned as Attorney General before deciding the case. Now the case is before Whitaker. 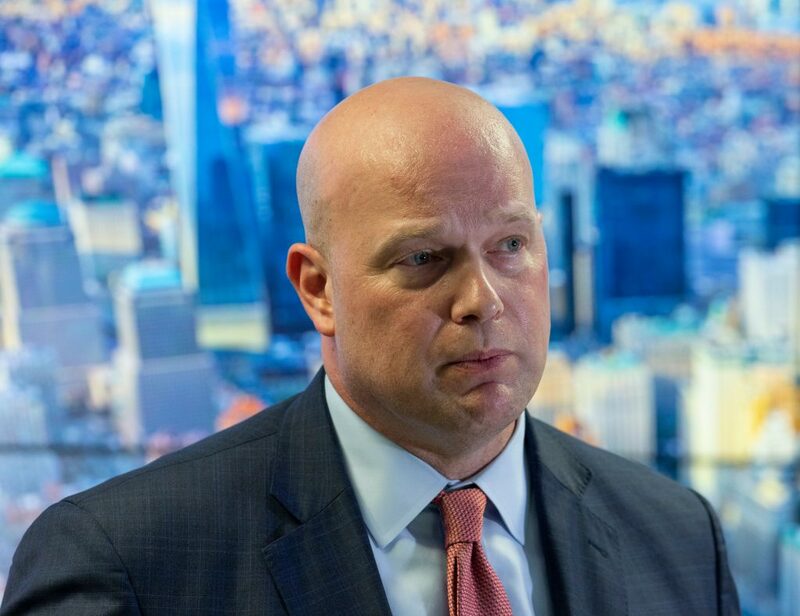 The amicus brief argues that because Whitaker’s designation as the Acting Attorney General is unlawful, he cannot perform the duties of the office. This includes referring and deciding immigration cases such as Matter of Negusie. The Appointments Clause of the U.S. Constitution requires that the officer serving as Attorney General must be confirmed by the Senate. However, Whitaker was not confirmed by the Senate at any point in time, neither to assume his role as Sessions’ chief of staff, nor as any other officer in this administration. In addition to the Deputy Attorney General, there are at least ten other officers in the Department of Justice who have been confirmed by the Senate and would have been more appropriate choices to fill Sessions’ vacancy. In designating Whitaker, the administration relied upon a general statue, the Federal Vacancies Reform Act. But as the amicus brief explains, a more specific law details a line of succession to the Office of the Attorney General. Under that law, Deputy Attorney General Rod Rosenstein should have assumed the duties of the Attorney General after Sessions resigned. A week after Whitaker’s installation as Acting Attorney General, the Department of Justice’s Office of Legal Counsel (OLC) defended the designation. The amicus brief also outlines the critical flaws in OLC’s analysis, including the misapplication of case law and improper reliance on historical practice. For example, although OLC cites “over 160 times” where non-Senate confirmed individuals temporarily performed “the duties of  high offices,” OLC identified only one example of a non-Senate confirmed individual serving as Acting Attorney General. The individual served for a single week in 1866, before the creation of a Senate-confirmed Assistant Attorney General position. The Attorney General’s authority to refer immigration cases to himself is significant because it has lasting consequences on immigration law. For example, in Matter of Negusie, the Attorney General has the power to decide whether individuals who were forced into aiding their persecutors can still receive asylum. That authority must be granted properly, as required by the Constitution—that fact cannot be ignored.